Dr. the Honourable D. Orlando Smith, OBE is the Premier of the Virgin Islands. As the Leader of Government business, his portfolio includes the coordination of government policies, economic planning, investment promotion, tourism, immigration, gender affairs, e-commerce, regional affairs, information and public relations, among other key areas. As the Minister of Finance, Honourable Smith is responsible for the overall financial management of the Territory, its budget reporting, treasury, tax, long-range planning and transparency. As the leader of the Financial Services sector, Premier Smith is tasked with ensuring that the BVI is a top-tiered financial services centre, offering a range of services in investment and wealth management. Additionally, he is responsible for ensuring that the industry achieves effective implementation of, and compliance with, established financial standards, components he sees as critical to a robust legal, regulatory and enforcement machinery. Before that, Premier Smith served as Chief Medical Officer, the leading medical position in the Territory and surgeon for 17 years from 1979-1995. In 2000, he was named in the Queen's New Year's Honours List and was awarded an Order of British Empire (OBE) for his years of outstanding and dedicated service to his BVI Community. He entered the political arena in 1998, forming the new National Democratic Party. Following the party's first election, he served as Leader of the Opposition. In 2003, his team won a majority and he was sworn in as the Territory's first Chief Minister to be elected by the people. In 2007, after his party was defeated in the general elections, Honourable Smith became the Leader of the Opposition. In the 2011 general elections, his team rebounded, and won an overall majority. Honourable Ronnie W. Skelton was first elected to the House of Assembly formerly known as the Legislative Council in 1999. He would serve as a Member of the Opposition of the then Legislative Council until 2003. Following his success in the General Election in 2003, he would serve as Deputy Chief Minister and Minister of Finance and Minister for Health and Social Development until 2007. He was unsuccessful in the 2007 General Election and during the period 2007 t0 2011 he would return to private life serving as the Chief Executive Officer of Skelton Group of Companies owned by his family. In 2011 he returned to the political arena and was successful. He has been a member of the House of Assembly since then to present. A Chartered Electrical Engineer by profession, he served as the Territory’s first local appointed General Manager of BVI Electricity Corporation from 1987-1999. Prior to serving in that position, he worked at the Corporation as Distribution Engineer. Mr. Skelton made considerable improvements to that utility during his tenure as General Manager. He was the General Manager during the passage of Hurricane Hugo in 1989 which caused severe destruction to the Caribbean and the Virgin Islands. He has served as a member of many professional and civic associations and committees too numerous to list. He has served as President of the Rotary Club of Road Town and is currently a member. 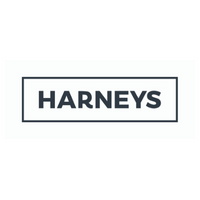 With more than 10 years of expertise in the British Virgin Islands, Greg is a partner in Harneys Corporate group in the BVI. He regularly advises clients and their onshore advisors on BVI corporate and commercial laws. He works with financial institutions, public and private businesses and high-net-worth individuals. 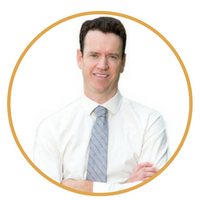 More recently Greg has been involved with numerous FinTech initiatives for the BVI and is a member of the firm’s FinTech Group (which importantly includes dedicated regulatory experts). A primary focus of the FinTech Group’s role is the identification of risk, not only risk to the firm but more importantly risk to the BVI as a whole. 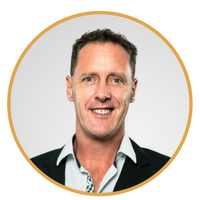 Greg now routinely fields enquiries in the ICO space and has advised on a few of the more noteworthy ICOs to date. Before moving to the BVI, Greg worked as a banking and finance lawyer with Baker & McKenzie in London. Today, he collaborates with global clients on cross-border joint ventures, mergers and acquisitions, corporate reorganizations and stock exchange listings. Greg also specialises in natural resources and emerging market (eg BRICS) transactions and also advises Multilateral Lending Agencies and Development Banks. 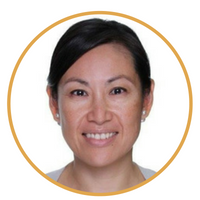 Fiona Chan is a partner in the corporate department of Appleby’s Hong Kong office, advising on a full spectrum of banking and finance, non-contentious insurance, private client and trust matters relating to the laws of Bermuda, British Virgin Islands and Cayman Islands. Fiona has nearly 20 years of experience working in international law firms in onshore and offshore fields. Her broad offshore law practice spans banking and finance transactions including acquisition, leveraged and project financing, shipping and aircraft financing, structured products, bond issuance and restructuring of corporates and financial institutions. In the private client practice space, Fiona specialises in advising on Bermuda insurances and trust structures of various offshore jurisdictions. Fiona is routinely instructed by major international and Asian financial institutions, listed and private companies, securities providers and leading onshore law firms. She is widely recognised in leading legal directories and a regular speaker and contributor to industry conferences, discussions and journals. 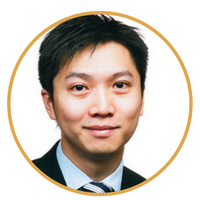 Chris Cheng is a partner in the corporate department of Appleby’s Hong Kong office. 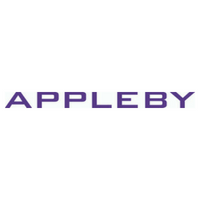 He joined Appleby in 2007 and has extensive experience in the area of capital markets, specialising in private and public offerings of debt and equity, private equity, mergers and acquisitions, as well as bank financing transactions. 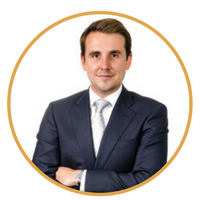 Before joining Appleby, Chris has worked in another international law firm and the Hong Kong Stock Exchange. 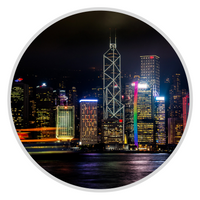 His clients include Bermuda, Cayman Islands and British Virgin Islands entities, many of which are listed on the Hong Kong Stock Exchange, the Shanghai/Shenzhen Stock Exchange and the Singapore Stock Exchange, as well as banks and financial institutions. 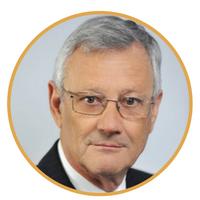 Director, BVI Financial Services Commission (HK) Ltd.
Burton Chalwell Jr. is a Director of BVI Financial Services Commission (HK) Ltd.and is the Asia Representative for the BVI Financial Services Commission. 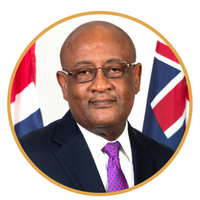 Before his appointment, Burton was the Deputy Director of the Compliance Inspection Unit and had oversight for carrying out on-site compliance inspections for prudential supervision of the financial services business conducted by BVI licensees. 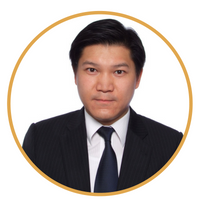 Peter Ch’ng is a Partner in the Corporate Department in the Hong Kong office of Conyers Dill & Pearman. He joined Conyers in 2001 and was a Director in the Bermuda office prior to relocating to Conyers’ Hong Kong office in 2017. Peter’s broad financial corporate practice covers mergers and acquisitions, insurance and reinsurance, mutual and investment funds including insurance linked securities structures (ILS), segregated accounts companies (SACs), private equity partnerships, structured finance, special purpose vehicles and ownership-remote structures including charities, corporate finance including debt and equity offerings, IPOs and private placements, banking and financial services including financial derivatives, credit and security and general corporate and commercial matters across multiple jurisdictions. Peter has formed unit trust funds and private equity limited partnerships for investment. He also specializes in forming licensed reinsurance companies and advising on reinsurance transactions in the context of offshore insurance/reinsurance regulations. Peter had guided the firm’s Financial Derivatives practice in Bermuda, the BVI, Cayman and Mauritius in providing netting and collateral enforceability opinions to leading banks and industry organizations such as International Swaps and Derivatives Association (ISDA), International Capital Markets Association (ICMA), International Securities Lending Association (ISLA) and the Securities Industry Financial Markets Association (SIFMA). 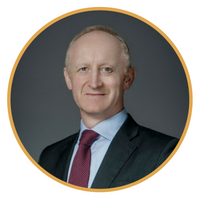 Peter counts many global commercial banks and financial institutions (including The World Bank Group, NASDAQ), Canadian public pension funds and US-based global private equity fund managers amongst his long-standing key clients. Peter has also served as a director on the boards of Irish software technology and consumer goods companies based in Bermuda. 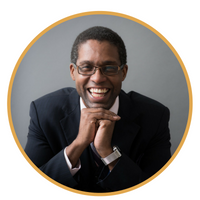 Peter is consistently recognised in Legal 500 Caribbean (corporate and commercial, insurance/reinsurance) and has been interviewed and cited in 2013 as a legal expert in Bermuda segregated accounts companies by Trading Risk, a leading ILS industry publication. 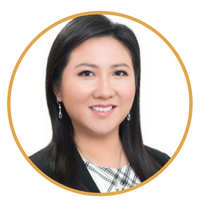 Anna Chong is a Partner in the Corporate department in the Hong Kong office of Conyers Dill & Pearman. Anna joined Conyers in 2006. Anna’s practice covers corporate finance, and mergers and acquisitions with particular focus on initial public offerings on the Hong Kong Stock Exchange, New York Stock Exchange and Nasdaq Global Market. Anna has extensive experience in private and public equity and debt offerings. 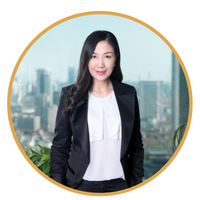 In recent years, Anna’s focus has been on representing Chinese companies with offshore structures seeking mezzanine financing by way of preferred share issues with a view to initial public offerings on the United States stock exchanges and other stock exchanges in Asia and Australia. 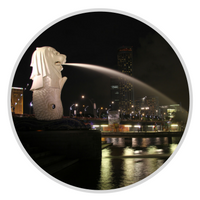 She is actively involved in debt offerings for a number of listed PRC based property developers. Anna has been a speaker at several conferences, the most recent of which was a presentation at Renmin University in Beijing on public offerings in Hong Kong using offshore vehicles as listed entities. Keith Carter’s mission is to “Help Business succeed with Actionable Intelligence”. Keith is an Associate Professor at the NUS School of Computing, preparing students and workforce with innovative thinking and get them ready to deliver business solutions integrating data visualization and machine learning. He is the Actionable Intelligence Senior Strategist at KBC Global Partners, helping senior leaders to develop data driven business strategy; leveraging big data and develop capabilities to seize opportunities; leading digital transformation across Finance, Banking, Fintech and Supply Chain. He is also the Co-founder, Senior Technology Advisor, and Machine Learning Lead at Datarama, a Fintech start-up. He is the author of Amazon Bestseller Actionable Intelligence: A guide to delivering Business Results with Big Data, Fast! Keith's mission is to help others succeed, through his work in lecturing, writing, mentoring and consulting. He believes, the current wave of valuing data as highly as gold will create more jobs than ever in human history. 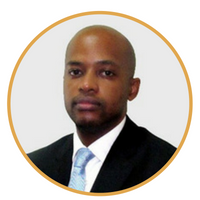 In his previous roles, he has worked with Accenture, KPMG, Goldman Sachs and Estee Lauder. Keith received his MBA from Cornell University. Elise Donovan is the Director of BVI House Asia, the British Virgin Islands Government’s representative office in the Asia Pacific region. 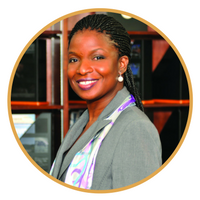 She has 20 years’ experience in international affairs, economic and political development. Donovan served as executive director of the BVI’s International Finance Centre (now BVI Finance), director of the BVI International Affairs Secretariat and at the BVI Financial Services Commission. She was a member of the BVI’s Tax Information Exchange Agreement Negotiating Team with such countries as China, the United Kingdom, France, Australia and New Zealand, Canada and the Nordics. She was also a lead advisor for the committee that drafted and negotiated the 2007 Virgin Islands Constitution. Nigel Meeson is a Partner and Head of the Asia Disputes & Restructuring Group (“ADRG”) in the Hong Kong office of Conyers Dill & Pearman. The ADRG provides Bermuda, British Virgin Islands and Cayman Islands litigation advice to clients in the Far East; ensuring they have access to fully coordinated litigation advice and services provided by a seamless and comprehensive team across jurisdictions and time zones. Nigel joined Conyers in 2007 to start the litigation practice in the Cayman Islands which he has developed into one of the leading Cayman litigation practices. His practice focuses on insolvency and restructuring, trust litigation, corporate and shareholder disputes, insurance, asset tracing and international commercial litigation. He also accepts appointments to act as leading counsel, expert witness, arbitrator and mediator. Prior to joining Conyers, Nigel practiced for almost twenty-five years at the Bar in London as one of London's top commercial litigators before moving to the Cayman Islands. Nigel has authored various books and articles for leading industry publications, including International Corporate Rescue and INSOL International. Kenneth Morgan is the current Head of Business Development and Marketing at BVI Finance Limited, a public/private enterprise charged with promoting and developing the financial services industry in the British Virgin Islands. He is also Managing Director of Pendragon Services Limited which provides consultancy and advice on all aspects of doing business in the BVI. 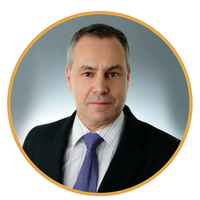 Ken has many years of experience in the international financial services industry. His career began in the Cayman Islands where he worked for a leading trust company. He then spent about 20 years in Bermuda where he eventually became a Senior Vice President at one of the major banks in charge of trust, investment management and fund administration operations. In the British Virgin Islands Ken spent many years as an Executive Director at Rawlinson & Hunter Limited where he was heavily involved in business development as well working with Government and the private sector in various promotional activities. He is a former President of the Association of Registered Agents, Vice Chairman of STEP BVI and a past Chairman of the Board of BVI Finance Limited. Callum is a Partner in Walkers' Global Insolvency and Dispute Resolution Group. He is a highly experienced Commercial Litigator who has developed particular expertise in contentious funds and cross border insolvency matters. Qualified in four jurisdictions, he has spent the last 11 years working offshore in the British Virgin Islands, the Cayman Islands and the Channel Islands. Prior to this he gained five years' home jurisdiction experience in Australia where he also handled a broad range of commercial litigation and insolvency work, regularly appearing before the Queensland Supreme Court and the Federal Court of Australia. 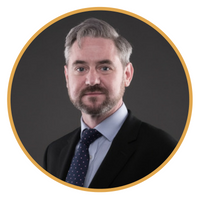 Callum has experience across the contentious sector including insolvency & restructuring, investment fund disputes, corporate disputes, commercial dispute resolution, banking litigation, trust litigation, fraud litigation, asset tracing, negligence claims and arbitration & mediation. His particular expertise is investment fund disputes, shareholder disputes and insolvency. In addition, Callum has successfully brought urgent injunction applications before the courts of the Cayman Islands, the British Virgin Islands, Guernsey and Australia. Business and thought leader Barbara Meynert has executive expertise across a broad range of sectors. She has enjoyed an international career in merchant banking, commercial and regulatory institutions, and holds directorships in the corporate and non-profit sectors in Asia and Europe. Barbara Meynert is Chairman of Finclusion Limited, a financial service for the unbanked. 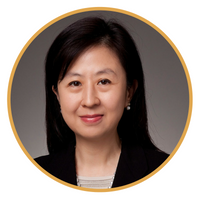 She is Senior Advisor to the Fung Group and has been a long-time director and advisor to the Li and Fung Group and a number of their subsidiary companies. She is Adjunct Professor at the University of Hong Kong, Senior Advisor to the Digital Economy Task Force of the UN ESCAP Sustainable Business Network, Vice-Chair of the Hong Kong-Asean Economic Cooperation Foundation, and a Member of the Astana International Financial Centre (AIFC) Advisory Council on FinTech. Barbara Meynert holds an MSc from the London School of Economics and a BA from the University of Hong Kong. 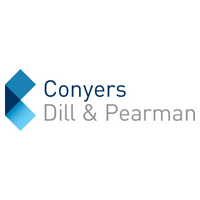 Christopher Page is Counsel in the Corporate department in the Hong Kong office of Conyers Dill & Pearman. He joined Conyers in Bermuda in 1999, working there until 2013. Chris then spent three years in Conyers’ Singapore office before relocating to Conyers’ Hong Kong office in 2017. His practice includes many aspects of corporate and securities law, with particular focus on the formation of investment and private equity funds, and other investment vehicles. 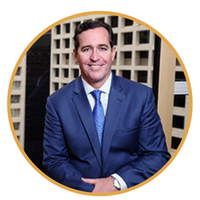 Chris has extensive experience with fund structuring and restructuring, debt and equity financing, and venture capital related transactions. 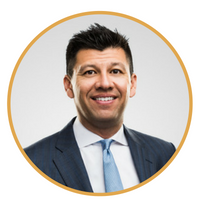 Chris is recognized by Who’s Who Legal (Mergers & Acquisitions) 2016, he speaks frequently about offshore fund structuring at conferences and conducts in-house training seminars. 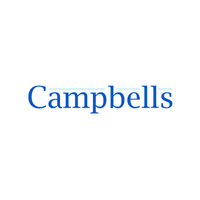 Marianne is a partner in Campbells's corporate, investment funds and finance practice and heads up the Corporate Department in the Hong Kong office. 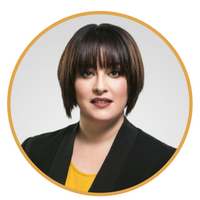 Marianne’s practice covers all aspects of the structure and operation of investment funds and alternative investment products (including innovative hybrid and crossover funds) investing in a diverse range of assets. She acts for a broad cross-section of clients including wellknown private equity houses on a multitude of corporate down-stream transactions. 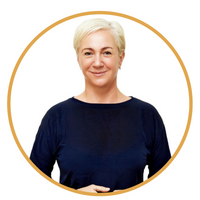 Marianne has a strong background in the field of market regulation and enforcement, having worked as a senior lawyer in the Enforcement Directorates at the UK Financial Services Authority and the Australian Securities and Investments Commission. Marianne’s areas of practice and expertise are Investment funds, Corporate/finance, Mergers and acquisitions, Capital markets and securitisation transactions. Marianne served as a Major in the Australian Army Legal Corps. 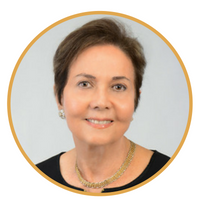 Marianne was admitted as a legal practitioner in the British Virgin Islands in 2007 and joined Campbells in 2016. Lorna Smith, OBE is the Interim CEO, BVI Finance. Smith has more than three decades of experience at the highest levels of the public service in the British Virgin Islands. 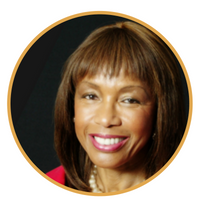 Over the course of her senior-level service, Smith has developed extensive relationships with leaders from the business community, international NGO’s and government leaders from around the world. In 2002, Smith took the helm of the BVI International Finance Centre (now BVI Finance), which is charged with promoting the BVI Financial Services. Smith worked in close collaboration with the private sector, mounting promotional events in London, New York, Miami, Zurich, Geneva, Shanghai, Hong Kong and Singapore. 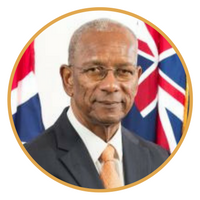 As Director of the International Affairs Secretariat, Smith led negotiations for Tax Information Exchange Agreements between BVI and the United Kingdom, the People’s Republic of China, France, Canada, Australia and New Zealand. Smith also served as a top advisor in the BVI’s talks with the United Kingdom to secure a new constitution for the Territory. Smith also served as the first BVI Director of the London Office. Eliot Simpson is a partner and Group Head of the Dispute Resolution department in Hong Kong. He first qualified as a Solicitor in 1992, spending nine years at Clifford Chance before joining a major offshore firm based in the Cayman Islands, where he practised as a local Attorney-at-Law. In 2005, Eliot joined another major offshore firm based in Jersey, where he was admitted as a Jersey Advocate. He joined Appleby in 2008 as a Solicitor Advocate in the British Virgin Islands, and most recently relocated to Hong Kong in 2012. 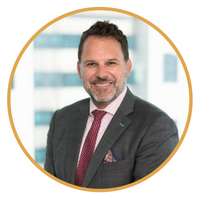 Eliot has extensive experience in all areas of commercial litigation and corporate insolvency, including corporate disputes, fund disputes, trust and estate litigation, and corporate bankruptcy, insolvency and restructuring. 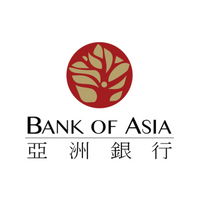 Carson Wen is the Founder and Chairman of Bank of Asia (BVI) Limited and BOA Financial Group Limited. He is also the Chairman of the Sancus Group of companies, which has investments in policy driven sectors such as new energy, logistics, finance and technology. 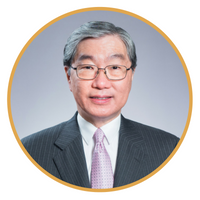 He has practiced law for over 30 years at his own Hong Kong partnership and subsequently at leading global law firms. Mr. Wen was a three-term Deputy to the National People’s Congress of China. He is also a Justice of the Peace of Hong Kong the holder of Bronze Bauhinia Star (BBS) and held various public service appointments in Mainland China and Hong Kong. He was the Vice-Chairman and currently Party Affairs Advisor of the Democratic Alliance for the Betterment and Progress of Hong Kong (“DAB”), the largest political party in Hong Kong. Mr. Wen is a member of the United Nations Economic and Social Commission for Asia and the Pacific (UNESCAP) Sustainable Business Network and Chairman of its Task Force on Green Business. He is also a Director of the Pacific Basin Economic Council. 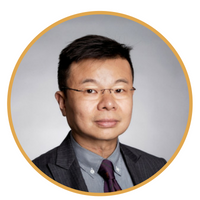 He is also, inter alia, a Founding Director of the China M&A Association. Mr. Wen obtained his B.A. in economics from Columbia University and B.A. and M.A. in law from Balliol College, Oxford University. He was Younger Prizeman in Law of Balliol College for 1976. 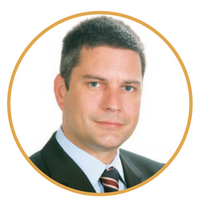 Kristian is a partner in Bedell Cristin's Singapore office. 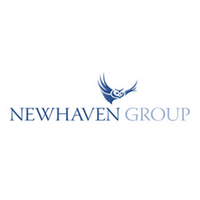 He is an experienced commercial lawyer, having worked for leading law firms in London and Paris, before practicing offshore law in Jersey and the BVI. 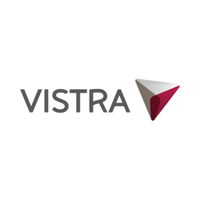 Kristian advises on BVI law and his practice includes corporate and financial matters, with a focus on joint ventures, private equity and cross-border transactions.